On Friday, December 9th the Aberg Center for Literacy was named a 2017 recipient of the Carl B. & Florence E. King Foundation grant. 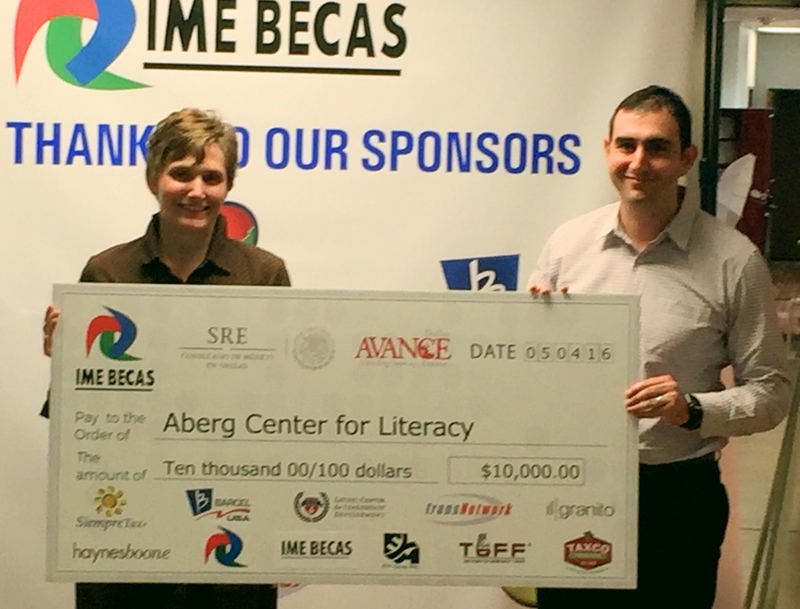 The purpose of this grant is to "support the Early Childhood program" at Aberg Center for Literacy. The grant provides key funding needed for program expansion and the subsequent staffing and material needs. Established by gifts from Mr. and Mrs. King , as well as a later bequest from their daughter, Dorothy, the Foundation has now grown to more than $75 million in assets. The Foundation distributes more than $2 million per year to charities serving the Dallas-Fort Worth area, 38 counties in West Texas, and 32 counties in Arkansas. Past Dallas recipients of the grant include the Metro Dallas Homeless alliance, CitySquare, Childcare Group, Big Thought, and Big Brothers Big Sisters. With this generous gift, Aberg Center will be able to extend its Early Childhood services to our Casa Linda location, which will enable us to provide free childcare and education to 20 children ages 18 months to 5 years starting in January of 2017. Consequently a number of adult students who were unable to enroll in our English fluency classes at Casa Linda due to childcare needs, or who were forced to commute long distances to our East Dallas branch, will now be able to register for classes at Casa Linda in January.